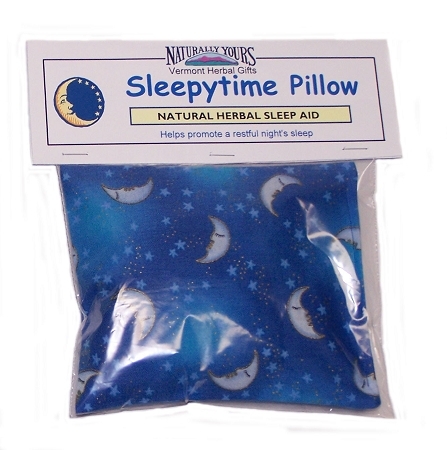 For centuries Herbal pillows have been popular remedies for combating insomnia and promoting a restful sleep. The herbs in our hand crafted Sleepytime Pillows are chosen for their relaxing and calming aromatherapy properties. induce sleep and promote creative dreaming. Breathe in the restful mixture of lavender, chamomile, lemon balm, lemon verbena, rose petals and mugwort. 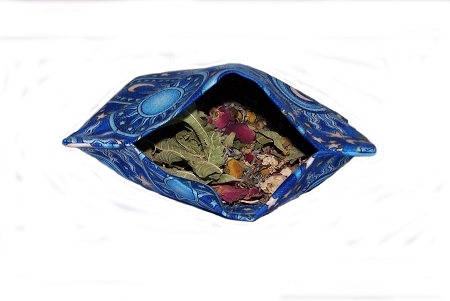 Our organic herbal mixture is chosen from herbs that are known to encourage a restful and peaceful sleep. No fillers or cotton batting - just 100% Organic Herbs. Pillows are made up fresh at the time or order. 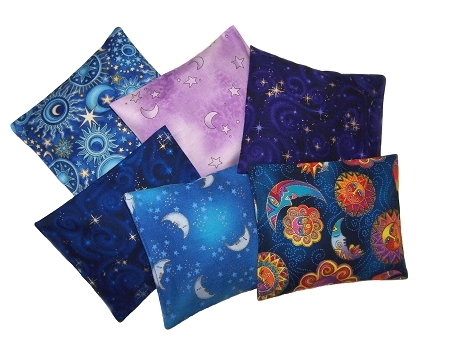 Available in 6 assorted Celestial Fabrics. Each Pillow is approximately 5" x 6", made from 100% cotton and comes packaged in a ziploc bag with an attached label listing all the herbal ingredients and instructions on how to use and store the Sleepytime Pillow. All of our herbs are grown by us or purchased from reliable organic sources.